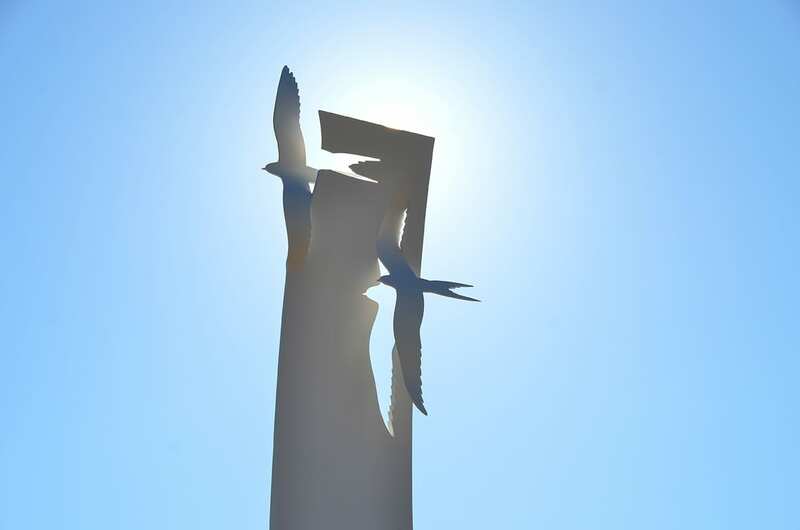 Explore the Mythic Coast on Cleveleys Seafront, with the artwork trail follows the story of the Sea Swallow. The primary function of the Cleveleys sea defence scheme (the final phase was opened in 2010) is to protect the coastline from flooding. But, the fabulous new, award winning promenade along Cleveleys seafront gives great access to the beach and is a brilliant leisure amenity. 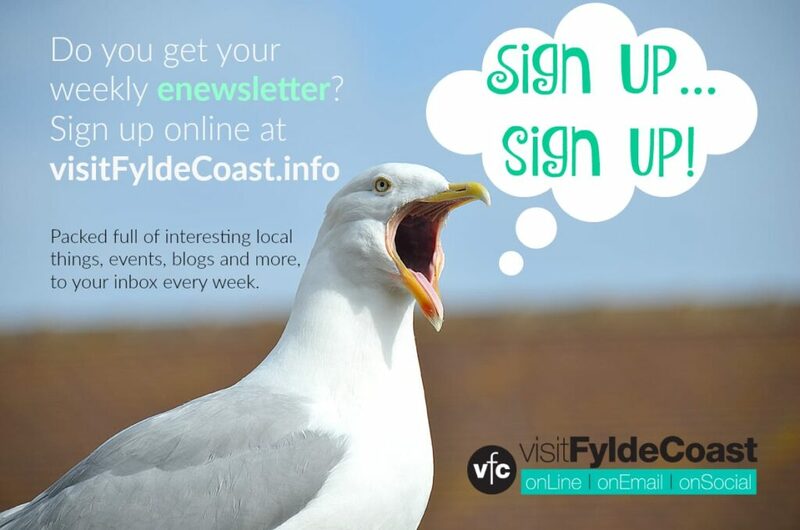 It’s a wonderful spot to visit and somewhere to enjoy the coast, so it attracts people from near and far. 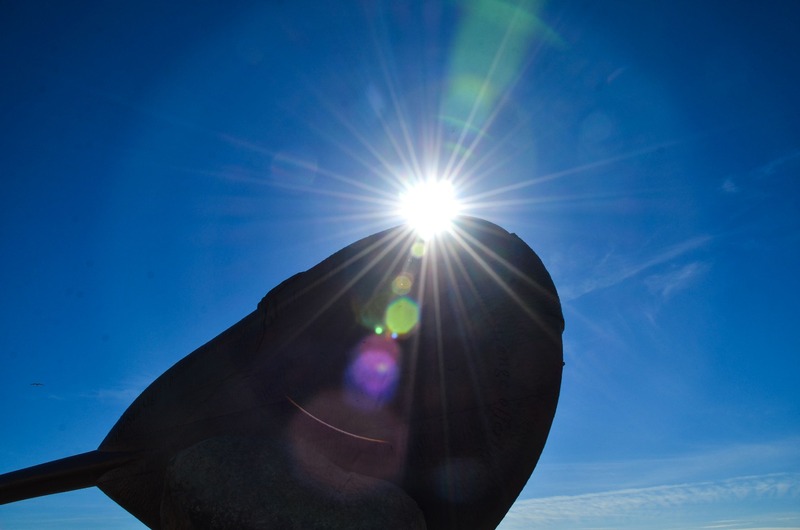 The new promenade was also an opportunity to be creative and make good use of the public space, and so the Mythic Coastline began to unfold… Have a look at the sculptures on Cleveleys beach and promenade, and explore the story of the Sea Swallow. 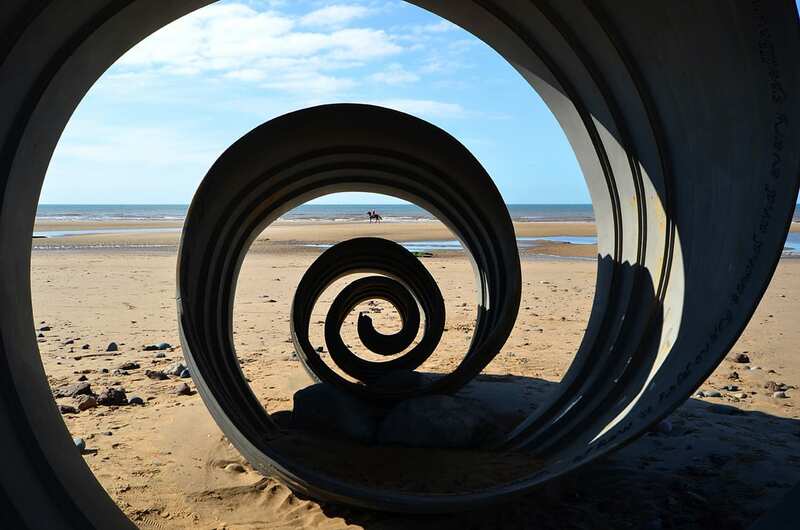 Funding for the ‘Cleveleys Mythic Coastline’ project was secured by Wyre Council through Sea Change. It was a national fund designed to regenerate the coast through the Arts. At the time a lot more work was also funded around the Marine Hall and gardens at Fleetwood. 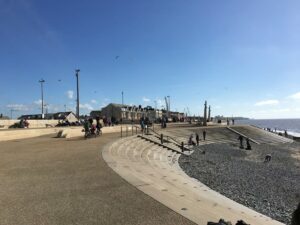 In Cleveleys, the funding allowed the creation of a legacy to follow the sea defence works, and a story which is Cleveleys very own for the future. The Sea Swallow is the story which underpins the Mythic Coast. It’s written for children but with a charm that’s unmissable, telling a fairy tale that blends legend with local features. 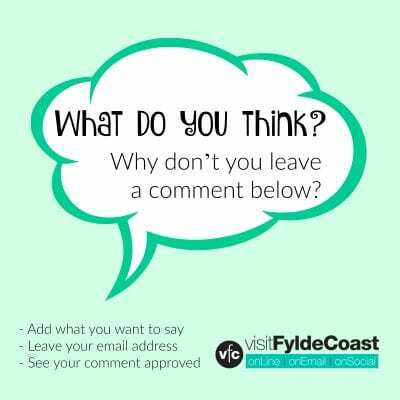 It includes the legends of sunken villages inspired by Singleton Thorpe and the petrified forest which you can still sometimes see on the beach today. 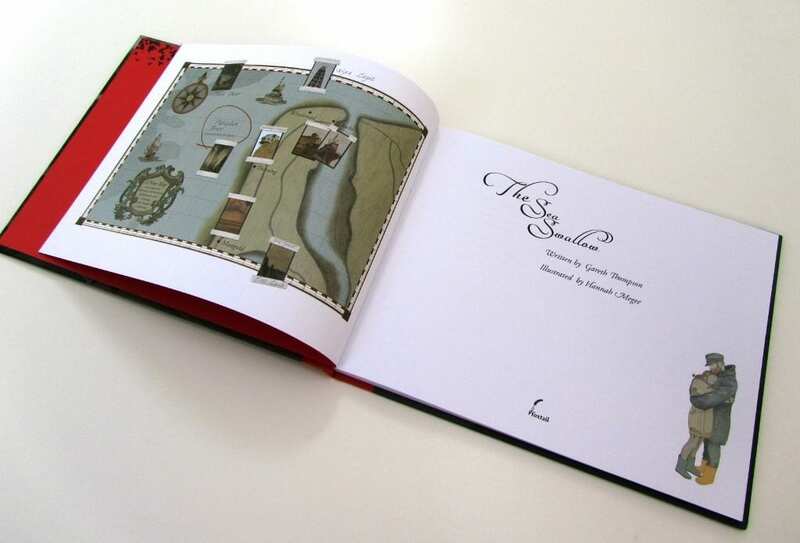 The Sea Swallow is written by Gareth Thompson and illustrated by Hannah McGee. In 2011, each primary school child in Wyre was given a copy of the book. The Sea Swallow story book is brought to life through a series of pieces of public artwork, which create a trail along the seafront. In early 2012 the first two pieces of sculpture were installed. Follow the links to find out more about each of the individual pieces of artwork. The namesake ‘Sea Swallow’ is a huge, slim, white, graceful sculpture. The Sea Swallows are cut into the top and they fly over the beach and soar above, in all weathers. It stands guard over the promenade and main high street. You can see it right from the far end of Victoria Road West as you approach the town. 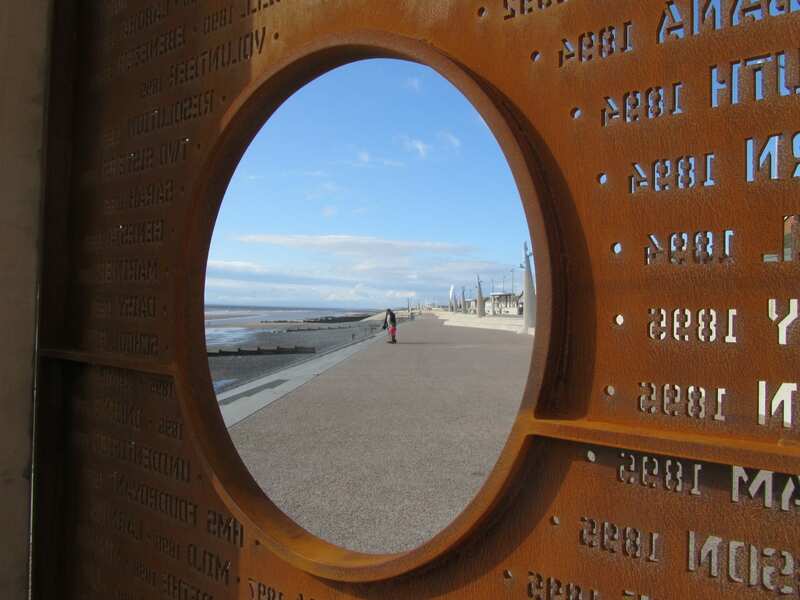 At the boundary where Cleveleys meets Blackpool stands the Shipwreck Memorial. It remembers all of the vessels which have run aground on the Fylde coast, from the mists of time to the most recent wrecking of the Riverdance Ferry in 2008. Opposite the buildings of Jubilee Leisure Park, you’ll find the Ogre’s Paddle. It’s a huge wooden carving which stands on the upper promenade, facing the sea. It’s inscribed with words from the Sea Swallow story book. Head north along the promenade (with the sea on your left) and just beyond the Paddle, opposite Jubilee Gardens, is a rock groyne. On the north side of the groyne, right at the seaward end, when the tide is out you can see the Ogre himself. You’ll have to look closely for him. He usually wears a green coat of seaweed which helps him to blend into the rocks, although he does get a proper wash every so often. 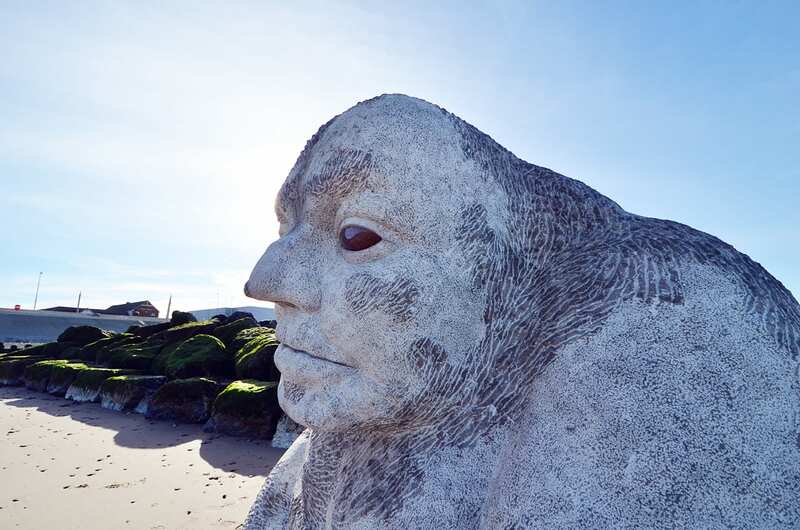 But he’s got a very kind face… head down onto the sands at low tide and say hello to our big stone friend. When the tide is out you’ll not be able to miss Mary’s Shell on the beach.  It’s sat, huge and unmissable, on the sand near to the round seafront cafe building. Even when the tide is in, you can usually still see the top of it! Look for the steelwork… poking up through the waves. Walk down onto the sand at low tide and climb inside the shell, peer through the end of it towards the sea. Make sure to take lots of photos – everyone else does – and don’t forget to share yours with us! 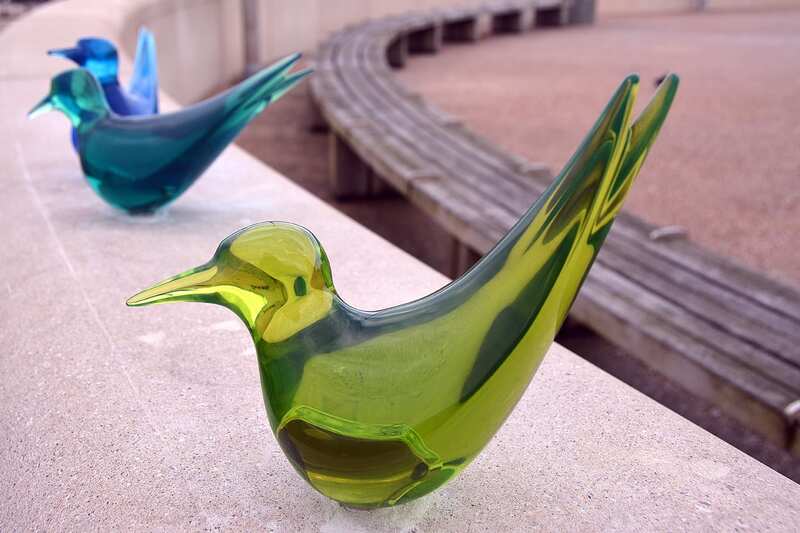 The plan was to install a series of these beautiful little resin Sea Swallows along the sea wall near to the Sea Swallow Sculpture at the end of Victoria Road West. Unfortunately they were vandalised on the day of installation so were removed for safe keeping. One of the plans was for a Petrified Forest Interpretation Board. (This wasn’t completed). A shadow of a former woodland lies on the beach, submerged by rising tides many centuries ago. 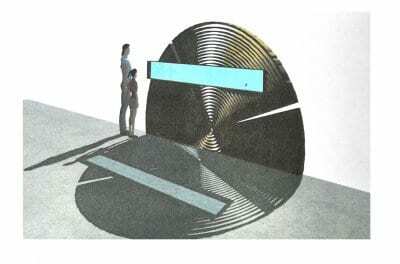 This piece was to be 1.5 x 3m, made from reinforced glass and galvanised steel sections, to replace the safety rail on the promenade. It would have explained the story of the sunken, petrified forest.